Personnel Training & Enterprise SoftwareWe are a value conscious, learning oriented and delivery focused organization. Twintech is at the forefront of transforming its clients to the new world of hybrid IT landscapes. This is built on its expertise in delivering IT managed services for many years, strengthened by vertical industry knowledge, and now enhanced by the new Cloud venture Canopy. Whether our clients require the expertise to extract real time business information from Big Data or the cyber security capabilities of managing millions of digital identities, Twintech is the trusted way forward. TwinTech‘s training programs are designed to create more efficient networking and smoother business environments. We provide training for individuals and corporate users to enable them achieve a SAP-consultant status in the standard SAP ERP modules such as HCM, FI, CO, MM, just to mention a few. 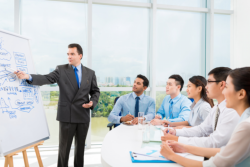 Delegates are trained through experienced instructors with several years in the industry. For SuccessFactors Implementations, developments, upgrades & support?